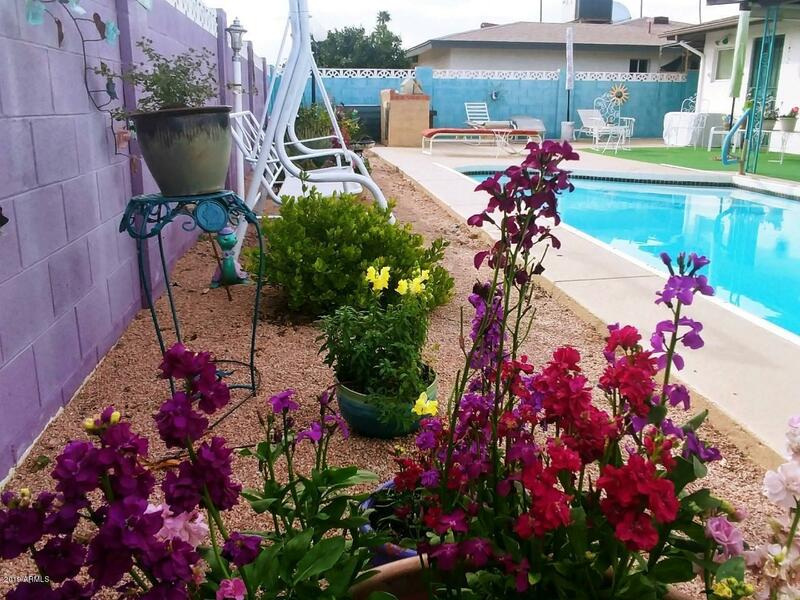 ****HEATED & COOLED POOL**** NESTLED IN THE HEART OF SUNLAND VILLAGE, A 55+ COMMUNITY IN THE EAST V ALLEY OF THE SUN, IS THIS LOVELY 600 MODEL BUILT BY AWARD WINNING FARNSWORTH. BUYERS PAY $1,250 FEE TO HOA AT COE FOR COMMON PROPERTY MAINTENANCE FUND. LARGE LIVING ROOM. FORMAL DINING AREA. 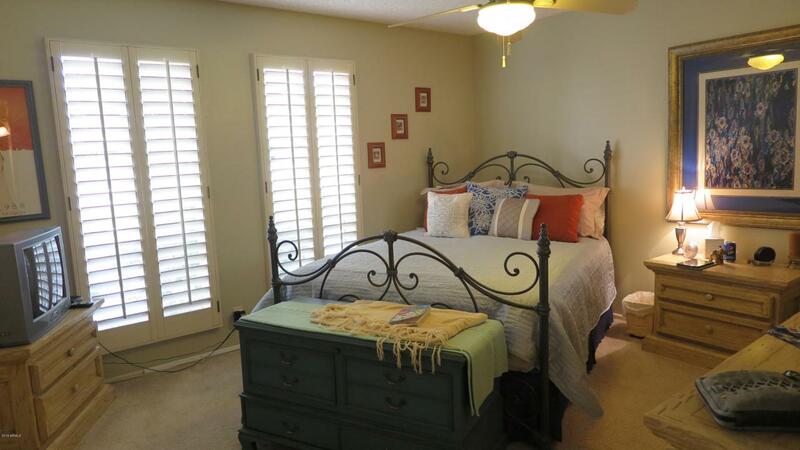 MASTER SUITE HAS: 3/4 BATH; HIS/HERS CLOSETS & PATIO DOOR THAT OPENS TO LARGE, SOUTH FACING COVERED PATIO OVER-LOOKING THE PRIVATE, HEATED & COOLED POOL. COMFORTABLE GUEST ROOM. FULL MAIN BATH. 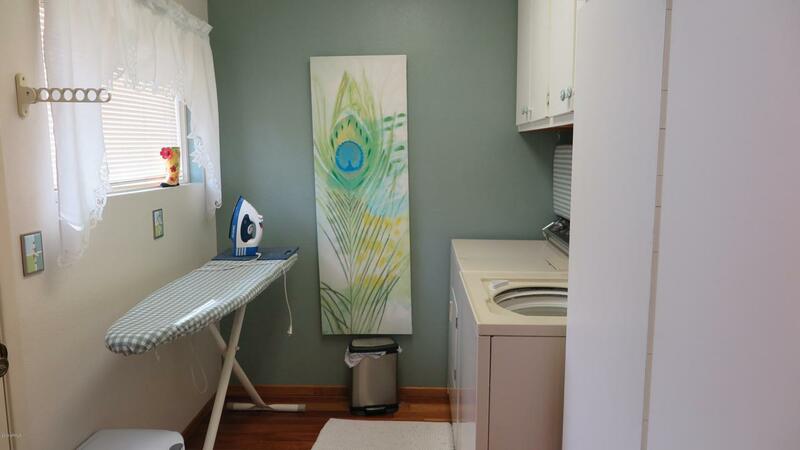 INSIDE LAUNDRY INCLUDES WASHER & DRYER. 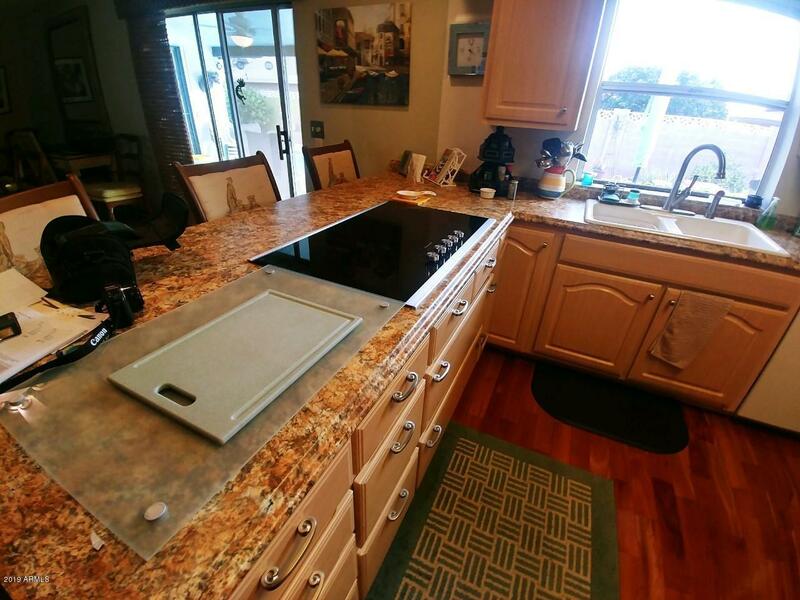 NEWLEY REMODELED KITCHEN HAS: PANTRY; DISHWASHER; REFRIGERATOR; COOK-TOP; DOUBLE WALL OVENS; BREAKFAST BAR; UPDATED CABINETS & COUNTER TOPS; AMERICAN CHERRY HARDWOOD FLOORING. GOLF CART ROOM/STORAGE IN GARAGE.